Subject: The Craftsmanship is Amazing! We recently received our couch and could not be happier. The couch is beautiful and comfortable. We like it so much we're thinking of ordering another. Thank you so much for your help! South End sofa 108”W x 35”D x 28.5”H, in Brompton Wolf leather, with three seats. Tobacco finish tapered legs. Small Black Nickel nailhead trim. Ultracel Spring Down seat cushion cores. Subject: I wanted to thank Casco Bay for the wonderful service I received from start to finish. The sofas I ordered are beautiful and obviously very well made. My new sofas have more than met my expectations. Your customer service has been excellent and every step of the process from deciding what to order and what to expect until delivery was exactly as promised. 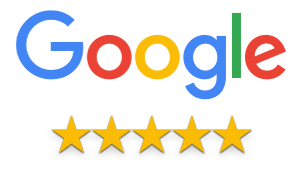 Finally, the delivery service was extremely professional and the gentlemen who delivered were on time, attentive to questions and overall very professional and friendly. I can’t say enough how pleased I am. Thank you! Subject: I just wanted to pass along that we received our sofa this past Monday the 19th of March. We couldn’t be happier! I hope you are staying warm up there in the northeast with yet Another Nor’easter heading your way! Preston Sofa 85"W x 37"D x 38"H in Brompton Cocoa with 3/8" Spotted Old Gold Nailhead Trim. Subject: Our furniture arrived Saturday, and we could not be more pleased. The navy blue sofas are gorgeous, the Chesterfield magnificent, and the man cave sofa, chair and ottoman left the guys cheering. The delivery service was very good, and the men that delivered were efficient, careful and personable. Once I have things completely arranged, I will send pictures. One Manchester Take Apart Sofa, 95"W x 48"D x 35"H, in Brompton Cocoa leather, with Bun Feet, 1/2" French Natural nails and Spring Down cushions. One Manchester Chair, 43"W x 48"D x 35"H, in Brompton Cocoa leather, 1/2" French Natural nails and a Spring Down cushion. One Storage Ottoman, 31" x 22" in Brompton Cocoa leather with 1/2" French Natural nails. Two Manchester loveseats 74"W x 48"D x 35"H, in Brentwood Navy leather, no nails, and Spring Down cushions. One Chesterfield Sleep Sofa, 86"W x 39"D x 31.5"H with the #2 leg, in Brompton Vintage leather, tufted front rail, no nails, , Air Dream Mattress and two Spring Down seat cushions. Subject: My wife and I initially purchased the Reading Chair from Casco Bay as a test run for the quality of a manufacturer with which we were not familiar. To say we were pleasantly surprised, would be an extreme understatement! The quality of the construction and of the Brompton leather is superb! Our dealings with Robert and Kristina have been nothing short of outstanding. All questions answered promptly and satisfactorily. As a testament to our complete satisfaction, we ordered an entire Madison living room, sofa, loveseat, chair, and ottoman in Brompton Cocoa. If you are worried, like we were, about buying sight unseen from a small manufacturer, don't hesitate. You will be as happy as we are with your purchase. Madison sofa 95"W x 42"D x 35"H, love seat 72"W x 42"D x 35"H and chair 44"W x 42"S x 35"H in Brompton Cocoa. Subject: Thank you for placing my order with your company. My purchase order was delivered on Friday, May 26, 2017, before the Memorial Day weekend began. The driver, Doug was very professional and helpful and also his assistant Tim. Perfect delivery. The furniture is exceptional quality and everything my family dreamed of when ordering this beautiful custom-built furniture. Every time we enter the kitchen we are constantly glancing into the family room and smiling. Our family room is perfect now! Thank you and thank Robert, for your professional assistance with our custom order! One Kingsbridge Sofa, 96" W x 42" D x 32" H, one Kingsbridge Sofa, 75" W x 42" D x 32" H, one Kingsbridge Ottoman, 42" x 42" x 18" H with a tufted top, all in Mont Blanc Ivory leather, with tufted front rails, #2 Dark Oak Legs, small Antique Brass nails and Ultracel Spring Down seat cushion cores. CFA, cutting for approval, requested. Hi, I just got home and saw my new beautiful couch. The pictures don't do it justice. My whole house smells like new leather. Thanks for the great couch. I can't wait to see the next couch!!! (on order). One Extra Deep Madison U Sectional, OAD: 137" x 131" x 46"D x 70"D x 35"H, in Brompton Cocoa leather, T Back cushions, Firm Back cushions and Spring Down seat cushion cores. Subject: A quick note on the couch, WOW! Impeccable construction, very comfortable, and we love the leather! It exudes quality and luxury all around. We were wondering if you guys sell a cleaning/care care kit for the brompton leather? One Madison 108 x 42 x 35 in Brompton Cocoa with Ultracel Spring Down Cushions. Subject: Thank you Robert for the BEST customer service I've ever had in making a furniture purchase! You went above and beyond with your patience answering my many questions and always kept me posted on the status of my order from start to finish. My family has enjoyed our sofa for several years and I have to say it looks the same as when it was first delivered (8/9/2012). Now that we've moved to a larger home - I'm so excited that we are fortunate enough to purchase a few more pieces with your company. And how lucky am I that the sofa I'm buying even shares my name - Jennifer! One Manchester Left-Hand Facing L Sectional, 110 x 136 x 48 x 35 with Ultracel Cushions, all in Brompton Cocoa leather with Bun Feet. Subject: Wow…that’s my one word to describe the sofa and chairs! Delivered this morning.. so beautiful.. the quality is evident. Yeah, we spent a lot, but this furniture is heirloom quality and far better than buying from RH. Looks outstanding.. so glad we went with the Petite scale! Petite Manchester sofa 84”W x 38”D x 34”H and two chairs 36”W x 38”D x 34”H in Brompton Cocoa with Ultracel Spring Down cushions. Subject: We would like to share our wonderful experience with Casco Bay Furniture. First of all. It’s very difficult for anyone to purchase a high style tufted leather sofa on a computer and expect everything to go right; well, it did. Brighton Sofa, 89"W x 42"D x 32"H, in Mont Blanc Crimson leather, Mahogany #2 Feet and Small French Natural nails. After doing our homework and checking out every high-end furniture store locally and not finding what we wanted, we resorted to the computer. We found Casco Bay Furniture to be a quality company who we could trust by all its excellent ratings and reputation. They answered all our questions and concerns all through the process, including our delivery which went smoothly and on time as promised. We are very excited and happy with our new hand-crafted piece of furniture and love the Mont Blanc Crimson leather we chose from Italy. Our surprise was how beautiful and perfectly crafted our sofa actually was when we got to see it. We dealt with knowledgeable and experienced employees who gave us honest and trustworthy advice and they knew what their craftsmen could produce. Thank you Robert, Kristina and Casco Bay. Subject: We received our Kingsbridge 98x42 Brompton Coco Leather Sofa a few months ago! We are thrilled with the quality of craftsmanship, comfort and style it brings to our home! Production & manufacturing timelines were right on as well as the white glove delivery. It can be a little unnerving to spend several thousand dollars on a piece of furniture you have never seen, but rest assured, you are getting what you pay for! Subject: We received our sofa approximately one week ago. We Love It!! Subject: We just received our sofa from Casco Bay Furniture and every day I love it more and more! We just received our sofa from Casco Bay Furniture and every day I love it more and more. We ordered the Manchester in Brompton Cocoa leather with upgraded seat cushions. My husband was at first dismayed by the super deep cushions (32") but after a night of movie watching, he is now completely sold! I absolutely love the deep seats (as does my son, and apparently our lab and basset hound). The sofa is extraordinarily comfortable, which surprised me because I've been leather sofa shopping for over a year and most of them are very stiff (pottery barn, for example..very uncomfortable and unforgiving cushions). The leather is gorgeous and it's obviously very well constructed. I was initially afraid that the sofa would be too large for our small great room (oxymoron), but it fits perfectly and actually makes the small room feel larger. Anyway, very highly recommend this company, the product is completely superior to everything else I've seen and price was extremely reasonable as well (even with our upgrades and modifications). We live in Oregon and the delivery time was about 8 weeks which is very reasonable. I'm very excited about it. Enjoy the pix, we certainly enjoy our couches! They're beautiful and so comfortable we fall asleep on them almost every night. Madison Sofa, 85"W x 46"D x 35"H, and Madison Love Seat, 72'W x 42"D x 35"H, in Brompton Cocoa leather, with Spring Down Cushions. Subject: We are thrilled and perfectly satisfied customers. Awesome! My husband and I were shopping for a leather sectional, and after much research, we decided to go with Casco Bay Furniture. After a few phone calls and emails with Robert, we placed our order for the extra deep u shaped Madison sectional w/chaise. We upgraded to the spring down seat cushions and firm back cushions, and chose the Brompton cocoa leather. Robert was very kind, knowledgable, and patient in answering my questions and expertly guided my decisions with consideration of our young family. We were very confident that our sectional would be exceptional, but I must confess to getting a little nervous once it came time for delivery. I hoped it would be everything we hoped for. I am happy to say it exceeded our high expectations! The delivery went smoothly and pleasantly, and upon close inspection we happily signed to keep our gorgeous new sectional :) The craftsmanship, leather, and style of it is outstanding! We are also thrilled with the comfort and extra deep seats. ……We can't rave enough about this company and the quality of product they produce! We would order from them again in a heartbeat! - Huyentran Haywood. Subject: High quality workmanship and materials with a WOW FACTOR. Purchased at a much lower price than elsewhere. Customer service is outstanding. Highly Recommend. I was fearful of ordering without sitting on the couch and getting a hands-on examination. I am thrilled that I chose Casco Bay. The leather is thick and the craftsmanship is definitely there. Good looking high end couch. Hope this helps someone else who is shopping for leather furniture. Manchester Sofa 95”W x 43”D x 35”H in Brompton Vintage. Subject: We ABSOLUTELY LOVE our new sectional! We just wanted to thank you so very much for everything. We have to admit that we were very nervous buying sight unseen and not being able to sit on it and test it out. The quality is amazing, the leather is so beautiful and it is super comfortable. Thank you for all of your suggestions and help ordering. Your attention to detail was much appreciated. We hope to place another order in the near future. Peace transport was fantastic also!! Manchester Custom Sectional, OAD 105" x 123" x 43"D x 35"H, in Echo Cigar leather, Wedge Feet with Ultracel 1.8 21 seat cushion cores. Thanks, Kelli & Alex Powell. I received my Brompton Cocoa Santa Cruz sectional last night! I am just overwhelmed at the out of this world quality of this beautiful sofa. The leather is so gorgeous, supple and luxurious-- I would like to send big time kudos to whomever took the time to select and cut (hand cut, the old- fashioned way, I am told) the hide that covers this one of a kind piece of furniture. Also, the craftsmanship and comfortability reveals perfection. Robert told me the person who was putting together a few of the cushion seats wasn't happy at first (didn't like the way they were laying), so he did it again! Robert took copious amounts of phone calls from me, answered each and every nit- picky question, and if he didn't know the answer, researched it and found it, fast. It was really nice to be able to call someone and them pick up on the first ring, talk to the same person each time, instead of having to suffer through talking to multiple different people, be put on hold, etc etc with a bigger furniture company as I experienced with my last sofa purchase. Whew! How refreshing! Working with Robert Allen and the people at Casco Bay was an extremely positive experience. It is a no-brainer if you are considering a leather sofa. I customized my sectional to the nth degree, and it came out even better than I expected. Buying site unseen is a new concept for me and fortunately I was not disappointed. I really wish I could personally thank all of the others behind the scenes in North Carolina (my old stomping ground) (and the tannery in Italy for that matter!) that put their heart and soul into this fine piece of heirloom furniture. Hopefully they will read this! Bravo, bravo, bravo! To read the rest of Emily’s review on her Santa Cruz sectional see our page on Houzz.com. Subject: Thanks to all for making our Christmas special. Yesterday we received our 86 inch Carlisle leather sofa as a Christmas present to one another. I will admit my husband and I were concerned about making such a large purchase over the web, but after searching local stores and looking online I thought this sofa on sale was the best price and quality. From the first time I spoke with Rob to our short delivery time of ten days I was confident we were getting exceptional craftsmanship and customer service. Everyone I spoke with at the company including the delivery men had such a passion about their work! I was pleased the sofa fit in so well with our plans to convert our rarely used formal living area to a cozy library. I can't wait to curl up on it with my kindle in front of the fireplace. Thanks to all for making our Christmas special. I know my family and I will enjoy this beautiful piece for years to come! Carlisle Tufted Sofa, 86”W x 39”D x 30”H, in Brompton Cocoa with Espresso feet and Small French natural Nail. Subject: I received my sofa and ottoman earlier this morning, I am more than pleased!!! I will take pictures and write an excellent review.....just drop dead goregous!!!!!!!!! beautiful craftmanship too!! great communications with everyone and delivery with Peace Transport was fast, smooth and exceptionally nice people!!!! Anyways you can post my email address as annmag@hotmail.com and also my cell phone number of 954 865 2260...................I already was bragging to my sister in Chicago and she wanted to check out your website. Pleasure doing business with you and Krist and Peace Transport!!!!!! Thank you!! Bristol Tufted Sofa, 98"W x 39"D x 29"H, in Capetown Cherry leather with Mahogany feet and Small French Natural Nails and One matching Tufted Ottoman, 29" x 39". I was excited when I called to ask about the sofa but Rob's enthusiasm sealed the deal. He said it was one of the most beautiful sofas he'd ever seen. Now I understand. It is a work of art and I couldn't be happier. Photos just don't do it justice. Peace Transport also was wonderful. They actually called to see if they could deliver it earlier in the day than initially scheduled. Sure. All went smoothly and they were here and gone in a flash. Excellent job. The only problem is, I don't want to leave my sofa. Thanks for the great product and friendly, efficient service. I'll continue recommending my friends to check out your great selection. And I'll probably be back, too. Subject: Our Bristol 89" sofa in Echo Lager arrived today, and we are THRILLED!! It is beautiful and more than I could have hoped for. Rob, you were right on with the color I was looking for, and I couldn't be happier about my decision to veer away from the typical PB browns. Turnaround time was amazing too(1 full month)--far shorter than any furniture order I've ever made and twice the quality. The guys from Peace Transport were right on time and ever so nice and helpful. So glad I did my homework and trusted my instincts on a sight-unseen, seat-unsat-upon sofa that is exactly what I wanted from the start. Subject: Our sectional arrived on Saturday and it is amazing! I wanted to thank you.. I must say after the horrible experience we had with the catalog company (name edited); we were skeptical about making such a large purchase sight unseen. But after receiving it, I wish we would have just went with your company from the start. I can't even describe the quality of your company's craftsmanship. The material is absolutely the highest quality I've seen. Thank you again! Manchester right hand facing L Sectional, in Brentwood Cuero leather with Wedge Feet and Down blend Ultracel 1.8 21 seat cushions. Dear Casco Bay Friends...delivery yesterday completed!! We are delighted...wonderful work!! Bristol Sofa, 89"W x 39"D x 29"H, with Tufted Seat and Small Antique Brass Nails. Subject: Happy Santa Fe Loveseat Owner! This sofa is just outstanding! The leather is top grade and the workmanship is immaculate. And because it is extra deep, it is sooooooo comfortable to sit on. It was difficult buying a sofa sight unseen but Rob and Kristina were patient and got me through it. I had the utmost confidence in them in spite of never meeting them. I have looked at many sofas in local stores and catalogs, but none were of this quality, especially for the price. I should also mention that the delivery went very smoothly! I was called before the arrival and the movers (Peace Transport) were professional and efficient. (Even they were impressed by the sofa!) I am recommending Casco Bay furniture to all my friends and family. A big thank you for all your help and patience. The sofa arrived this morning and I'm in love! I hope the picture and email will bring you business; you deserve it. You all did a fabulous job on the sectional. We are delighted with it. I have already started recommending you to everyone I know. Thank you! Inverness Sectional, in Capetown Chestnut leather, Comfort Down Cushions, Old Gold Medium Nailhead Trim and Tobacco Legs. The sofa is gorgeous. I was so thrilled when I saw it Words do not describe. Can't wait for family and friends to see it. Did you see it? I can't take my eyes off of it. Thank you so much for all of your input, you made it happen. The color is perfect and not to dark, the nails add the final touch. I certainly would recommend you. Thank you again and again. The folks that delivered were great, particularly the lady, she really liked it as well, I know, she wouldn't say otherwise (Peace Transport). Once again, I thank you. Salisbury sofa, with Down Seat and Back cushions, Medium Black Nickel Nails, Mahogany Legs and Echo Blue Marlin leather. It’s been a while , but thought you might like these pictures. Feel free to put them on your website. I shopped for a long time for my sectional and ottoman. I actually had an order with another company that went out of business after I paid, but before I received. Luckily I received my money back from my credit card company on that transaction. It was a blessing in the end as I found Casco Bay. I have had my Madison sectional for 8+ months now and I like it more every time I sit, sleep or just relax on it. In fact, we plan on buying another piece soon as well. I highly recommend Casco Bay to anyone looking for top of the line leather furniture. Feel free to use my email address and post my review. I will have to have some assistance from my kids to send some pictures so will try and send! Thanks again! I am so impressed with our purchase! Its truly one of the best purchases I’ve ever made! Our furniture was delivered yesterday and was the first delivery off of that truck. It is beautiful and we are thrilled with it. The leather looks and feels amazing. Thanks so much for your help in tracking down the delivery details last week. I am attaching photos so you can see the finished product. Feel free to use my name and email address! Kingston Tufted Sofa, 99"W x 42"D x 29"H, in Echo Granite leather with the #49 leg and a tufted front rail and two English Arm Chairs, in Capetown Cherry, all with Medium Antique Brass nailheads and Tobacco finished legs. Kristina, Just wanted to let you know that we received our sectional today and it is absolutely beautiful. The workmanship is great. Thank you very much for providing such a great product as well as great service and updates through the process. Madison L Sectional with Chaise, 107" x 144" x 70", in Brompton Cocoa leather with "T" Back cushions Ultracel 1.8 21 seat cushions. Dear Rob and Kristina, Our sofa, love seat and ottoman are gorgeous. The style is "Tahoe" in Mount Blanc Caramel leather. (Compare to Robert Redford's Sundance Sofa). It looks great and is exceptionally comfortable. Both of you were wonderful to work with and Peace Transportation delivered to the back roads of New Hampshire carefully and on time. Thank you so much! Hi, I just wanted to let you all know how happy I am with the Jasper sofa we ordered from you. It is covered in Vintage Brompton leather and is a rich chestnut color. The leather seems to glow from within. It's very comfortable. Casco Bay Furniture provided excellent and reliable service and the Peace Transport delivery went perfectly. I would highly recommend this company and this sofa. It surpassed my expectations, Thank you! My wife and I couldn't be happier with the way the slipcovered sofa and loveseat look that we ordered from you. I appreciate all the time you gave us in answering questions as well as furnishing us with a good variety of fabric samples and information to help us in our selection. The service you, Kristina, and Peace Delivery, provided equals the quality of the furniture you sell. The warranty and knowing the American craftsmanship that went into the creation of these pieces, adds to the comfort of our purchase. This was a significant purchase for us to make without first seeing the items. It surpasses anything we had seen at Restoration Hardware and other showrooms we visited prior to coming to you. It was our good fortune to arrive at your doorstep and we trust more arrive there as word of your service and quality furniture continues to spread. All the best in this New Year! One “Rolled Arm Collection” Grand slipcovered sofa and love seat, in Rumor Vanilla with Down Cushions and contrast toss pillows. The slip covered sleeper sofa, sleeper chair and storage ottoman made it to the island!!! This is the first sleeper sofa we have had with the Dream Mattress. We are very impressed!! Very very very comfy! We had a guest sleep on the sleeper chair too and even though it doesn't have the Dream mattress, she was extremely comfy sleeping 9 hours each night on it! Your new delivery service is fantastic! They were very prompt. Telephoned and showed up just as stated on the phone. Since these three pieces came to a shipyard to be boated over to Catalina Island I was sure something would get messed up- however, it went so smoothly. Dear Casco Bay Furniture: I received my Madison sofa (90”W x 46”D x 35”H) in the Capetown coffee leather. I just wanted to let you know that I am fully pleased with your product. It is everything and more that I had wanted! The delivery company (Peace Transport) was equally professional, timely, and were very good at notifying me of when they would arrive. The sofa arrived, very much intact, late this evening. It looks terrific, as I expected it to. The leather is supple, and the merlot / cordovan color lovely. The lead deliveryman commented that the sofa, unlike most of the furniture he delivers, was exceptionally well packed and obviously a very high quality product. For the second time now, my sincere thanks to you and Rob for an excellent leather sofa at an exceptional price. Please feel free to post my comments with the email address above. I don’t mind answering any emails that may result. Preston sofa 84.5”W x 38”D x 38”H in Echo Merlot with Ultracel 1.8 21IFD cushions. I just wanted to touch base and say we've had the couch for about a week an absolutely love it! We purchased the Capetown-Wolf Manchester (95”W x 48”D x 35”H with Ultracel Cushions) Deep Seats, and couldn't be happier! We were a bit nervous not being able to physically see or sit in the couch before purchase but from every review we read it reaffirmed our decision to pull the trigger. I enclosed a picture of the couch in case you wanted to use it for your site as I figured our color was something not everyone ordered very often. Rob feel free to post this email address. Thanks again for your quick response and great American made product. We are truly proud to own it and for it to be one of our first pieces of furniture we purchased for our new home. Our furniture was delivered today and so far my wife and I are EXTREMELY impressed. The delivery drivers (Reliable Delivery) were extremely professional and most important -- the furniture looks and feels great! I must say that deciding to make our purchase with Casco Bay was a little scary -- purchasing furniture you can't see or feel and trusting a company that isn't all over the internet and registered with the BBB. I think people out there are hesitant because they don't know if they can trust what they read. Casco Bay reviews aren't on other websites besides your own and Garden Web. Not sure if you're looking for more business, but getting more customer experiences on other websites will make people feel better about purchasing furniture from Casco Bay. My wife and I would like to express our extremely positive experience somewhere so other customers don't feel as hesitant as we did before we decided to make our purchase. Let me know if you'd be OK with us putting something on other sites or if there is another place you'd prefer that we use for our review. Again, thanks for a fantastic experience. Manchester sofa 95”W x 48”D x 35”H, chair 43” W x 44”D x 35”H and ottoman 36”W x 36”D x 19”H in Brompton Cocoa with Ultracel 1.8 21 cushions. A little over a year ago, I received the 96" Maxwell-style sofa from Casco Bay Furniture. I have to say that up to this point, I have been extremely pleased with the sofa. Not only was I ecstatic when it finally arrived (It was my first, big purchase since beginning my career after college), but I have been pleased to see how well it's broken-in over time. The comfort and depth of it is out of this world. Being a tall guy, it feels great to just slide right in (and on more than one occasion, fall asleep!). For any first-time customers hesitant about purchasing from an online merchant that isn't Amazon, put those worries to rest! These leather sofas are top-notch and a talking piece for any living/lounge area. Anyway, feel free to use this email as part of your review collection! Dear Rob, We received our furniture on 9/5. The furniture exceeded our expectations! The pieces are absolutely beautiful! The craftsmanship and quality of the furniture is superb. I've included some photos of it placed in our living room. Feel free to use any of this. If you would like a more detailed testimonial. I'd be please to provide it. I'd be happy to talk with anyone via email or phone who is considering having furniture made by your company. Jasper Sofa, 96"W x 35"D x 32"H, Jasper Sette 70"W x 35"D x 32"H and ottoman 50"W x 20"S x 18"H all in Brompton Cocoa leather, with Ultracel cushions. Initially it seemed risky to buy two 95" leather sofas sight unseen. A lot of money for something you never sat on. Yet Casco Bay allayed our fears each step of the way. Requested swatches were sent promptly. Questions were answered immediately, all of which built our confidence to make this decision. And of course all of the glowing testimonials about the quality and make sealed the deal. The two sofas arrived and we are completely satisfied with our purchase. You can tell that these are incredibly well made as they are extremely heavy and sturdy. They match the swatch we received from the tannery. Mont Blanc cognac is a rich, multi-hued color which looks fabulous in our living room. And thanks for making the custom leather arm covers as protection from our cat. They fit beautifully and look like they are part of the sofa. It's heartening to see that North Carolina still produces the best furniture. You've cured us of buying lesser quality from showy stores in the mall. Now we're looking for a fabric sofa for our TV room…so please send those swatches as fast as you can! Your prospective customers can email me if they have questions or want reassurance. Rob & Kristina: I just wanted to let you know that the Manchester is here and looks great! Thank you for the quick turnaround, and quality craftsmanship. I also tested the sleeper out, and it really is pretty comfortable. All in all, great quality product and very pleased. I believe I had mentioned to you previously that we also have the Lancaster sectional from Restoration Hardware (from several years ago, before they outsourced their production to China). I'd not only put your work up against this, but would say it probably surpasses it. The only problem - and is a good one to have - is that we have an old sofa & loveseat upstairs in our main sitting area, and your Manchester piece by comparison makes these other old sofas pale in comparison :). The wife and I have been talking that this sofa & loveseat may have to turn into a Casco Bay upgrade. So when I say "problem", I mean a problem for my wallet :). It may be a little bit until we get some additional expendable income in our budget, but it's quickly become at the top of our to-do list. - Jason Daniel, 703-973-4779, Alexandria,VA. This has been a long time coming, but I just wanted to write to you and tell you how much we love our sofas! It is not uncommon for us to be sucked into the comfort and fall asleep on them. The color (I think it was called Brompton Cocoa) is beautiful. I can't tell you how many times I had gone into a store (R.H.) and dreamed of owning these. Now I enjoy two sofas that look almost exactly the same. Thanks! Two Madison 90" Sofas with 2 seat and 2 back cushions with straight back cushions, in Brompton Cocoa Leather. Jen has owned these sofas for almost two years. - Jen Hilton has owned these sofas for almost two years. Just wanted to express many thanks for the breathtaking Manchester, Brompton leather sectional that was expertly delivered on Thursday by Peace Transport. Still cannot believe it when I walk in the room. Amazing! To be enjoyed by all who sit on it. - Marilyn Clayton - Wall, NJ.